Development, design & manufacturing from A to Z. With our ownership, facilities, and direction, we plan to expand our business nationally and internationally while continuing our dedication to a customer centric policy while maintaining the highest quality standards. Our products can be found in virtually any field, but our main business areas are the maritime, defense, medical, and industrial sectors. 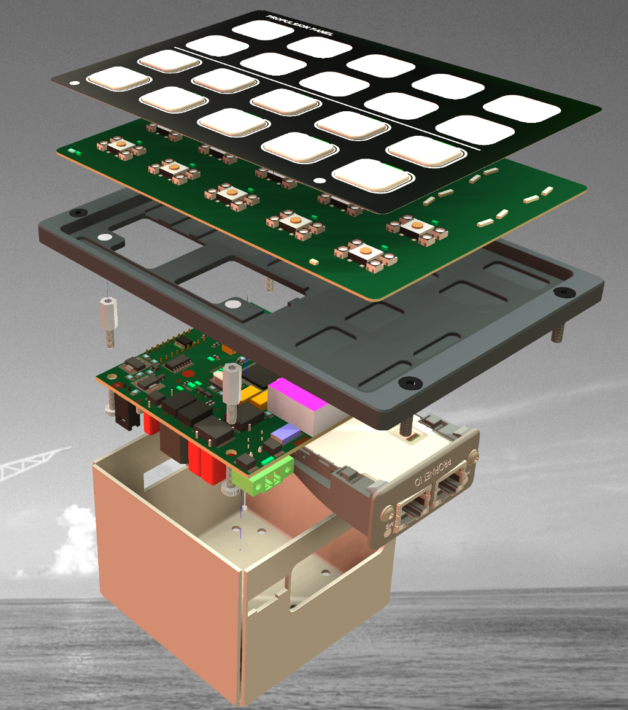 We develop Control and Display Solutions, combining electronics, mechanics & various button-solutions according to your specifications. We manufacture complete panels/products including membrane technology, electronics, mechanics & test to provide turnkey products to our customer. Founded in the Norwegian town of Horten, Keytouch has quickly become one of Norway’s leading producers of membrane technologies. Since its inception in 1988 Keytouch has enjoyed significant growth and success, achieving ISO-9001 certification in 1994 and building up an international clientele that includes such industry leaders as SAAB, General Electric, National Oilwell Varco, L-3 Communications, and Norway’s leading defense manufacturer, the Kongsberg Group. Our Production facilities are situated at Notodden, Norway. Our Company is certified according to ISO 9001, and we strive to maintain the highest standards possibly, often exceeding the requirements of the standard. Founded in the Norwegian town of Horten, Keytouch has quickly become one of Norway’s leading producers of membrane technologies. Since its inception in 1988 Keytouch has enjoyed significant growth and success, achieving ISO-9001 certification in 1994 and building up an international clientele that includes such industry leaders as SAAB, General Electric, National Oilwell Varco, L-3 Communications, and Norway’s leading defense manufacturer, the Kongsberg Group.Our Production facilities are situated at Notodden, Norway. Our Company is certified according to ISO 9001, and we strive to maintain the highest standards possibly, often exceeding the requirements of the standard. Keytouch recognizes the individual needs of its customers, and whether it is helping a defense contractor design, create, and manufacture a customized control panel, or supplying a small business owner with stock parts, Keytouch remains dedicated to providing it’s customers with only the highest quality products. Customer service has always been a chief concern at Keytouch, and our team of highly trained personnel is capable of providing quality products according to customer requirements. From the design stage to the final product, each customer is assigned an engineer in addition to their sales person to make sure all their needs have been met. In addition to our high standards of customer service, Keytouch promises to provide each customer with a realistic delivery date at the time of the order, and to ensure that all orders are on time and accurate. 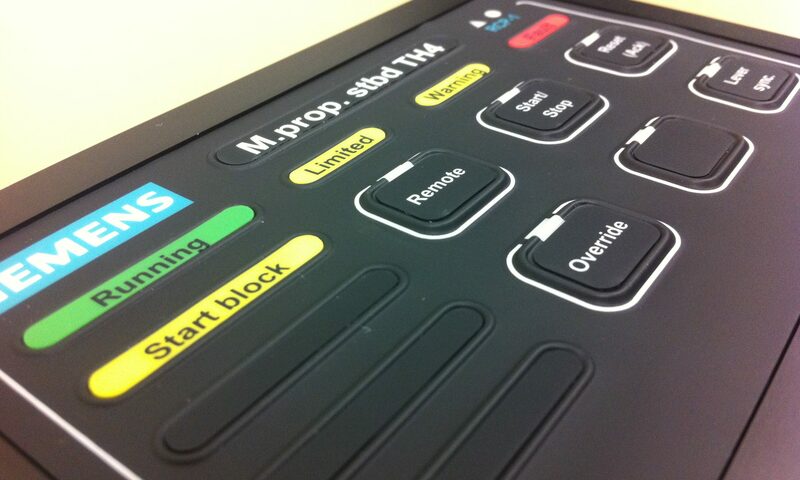 Keytouch also offers flexible financial possibilities during the design and production phases. Be assured that Keytouch will work it’s hardest to make sure that you are satisfied with the end result. Strong financial position supported by a major Norwegian Industrial company. Take a look at some of our latest projects!